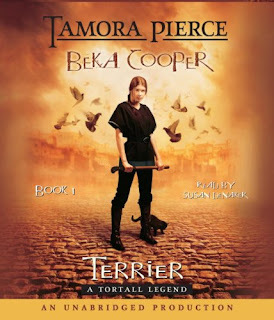 This second volume in Kelley Armstrong's Women of the Otherworld series continues the story of Elena, the only known female werewolf, who was introduced in the first book, Bitten. Elena is a headstrong young woman who is slowly learning to accept her life as a werewolf, along with everything that entails, along with her relationship with the Clay, the man who changed her into a wolf - without giving her a choice in the matter - in the first place. While the first book falls more in to the paranormal romance/urban fantasy genre, this one is more an action/adventure novel. 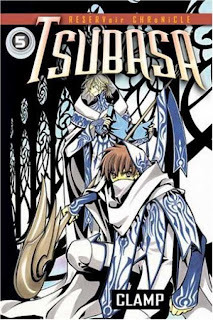 A very wealthy sociopath has come to learn of the existence of supernatural beings, and he is using his not inconsiderable resources to kidnap and collect various people, from vampires and shamans to witches and demons. He has set up science labs and has recruited doctors and scientists in an attempt to isolate and take advantage of those biological properties that give the supernatural beings their powers. Elena is approached by two witches who would like the werewolf pack to become involved in locating and stopping this man, but Elena - who hadn't considered the existence of other supernaturals beyond werewolves, is surprised and suspicious. It's not long, however, before she is on the inside of the supernatural menagerie, and it soon becomes obvious that the extra strength of one lone werewolf won't be terribly helpful in the face of armed guards, strong cells, sedatives and security cameras. 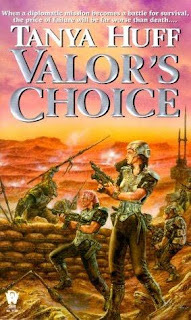 While I wasn't entirely captivated by the first book in this series, I found this second book to be much stronger, with greater character development and tighter pacing. Now that Elena is not railing against her personal situation and is focused on something outside herself, I find her a much more compelling character. There were a few issues that stretched my suspension of disbelief (e.g. - and possible spoiler here - if it is such an extremely rare situation for her to have survived the change as a female werewolf, it seems just a little too convenient that the one other woman who is infected with the virus should also survive). I like the fact that this series does not focus on the same protagonist with each book, and that the next one will be branching out to different woman who are supernaturals in this fascinating world that Armstrong has created. I look forward to seeing how it all unfolds. 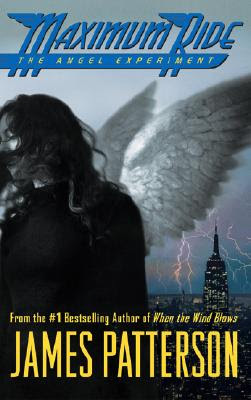 Reading Adventures: "When I first read Bitten, it took me a long while to get really drawn into the story, and in the end I enjoyed it, but I have to say that this book was so much better." Queen of Happy Endings: "There are some pretty evil characters in this story and with such a high level of suspense maintained throughout the book it's very hard to put down with an end that was evil yet so delicious." The Written World: "Vampires, demons, shamans, witches -- in Stolen they all exist, and they’re all under attack." Zara is having a very difficult time coming to terms with her beloved stepfather's death. In fact, she's having such a tough time that, in order to shake Zara from her depression, her obsession with phobias, and her general apathy, her mother has sent her away from her home in Charleston to live with her grandmother in Maine. It is cold, dark and depressing in Maine, and Zara is hurt and furious with her mother for sending her away. But Zara's affectionate, no-nonsense grandmother is delighted to have her come to stay. She does warn Zara, however, to be home before dark - a teenage boy has gone missing, and Zara needs to be careful. When Zara starts her new school, she makes an immediate enemy (for no apparent reason) and meets a few potential friends. Issy is a perky, outgoing girl who immediately takes to Zara, and there is not one but two very hot guys who are very interested in getting to know Zara better. Worries about friends and school fall to the wayside when it becomes clear that there is a man stalking Zara, a man she saw in South Carolina, and at the airport when she landed, and by the side of the road on her way home from school. There is something strange about him, something that seems too unbelievable to be true. But that's not the only unbelievable thing that Zara is about to learn about her New England home. This is a thoroughly engaging dark fantasy novel for teens. It has some of the typical elements of dark teen fantasy with a dash of romance that are also evident in the first Twilight book, it is true - but I found that it dealt with the elements more skilfully, with characters that I believed in (and did not want to strangle). It also packs some most interesting twists and turns - some that were evident from the outset, but others that took me by surprise. The book is written in the present tense, which I occasionally have problems with because it can make the story feel contrived. But not in this case. Here, I felt as though I were discovering things along with Zara, and it worked well. I enjoyed the irony of the fact that Zara is so involved with Amnesty International, yet it appears that innocent boys are being tortured because of something to do with her - and that she sees herself as a pacifist, yet she's being put in a position in which she has no choice but to fight. She wants to make a difference in the world - she wants to save others. Yes she finds herself in the position of needing to be saved, and she hates it. She is struggling to find out what is really going on, because until she does she is reacting to events in a passive way, when she needs to find a way to take control of the situation. She is a strong character, despite her struggle to accept her father's death, and she does her best to act, rather than react, and I like that about her. She is also endearingly honest, and I liked that about her, too. "He likes you, Zara. He took care of you. That's what men do when they take a shine to you." "He obviously has some rescue-the-damsel-in-distress gene, which is totally inappropriate because I am hardly a damsel in distress," I say, a little too bitterly. Even I can hear it. "Hardly. You're too busy trying to rescue people you don't know." She points at my pile of Amnesty International papers. "Like that's a bad thing?" "It's a good thing, Zara. It's just. Well...we all need a little bit of rescuing from time to time. It doesn't make us weak." "He doesn't like me like me." "You know, there's nothing wrong with admitting he likes you. There's nothing wrong with feeling good things, Zara. Your dad doesn't want any of us to stop living." He motions to the glue brush. "Can I have some?" I start to grab it so I can pass it to him. He reaches for it at the same time. Our fingers touch, and the moment they do the fluorescent lights overhead flicker and then fizzle out. Everyone moans, even though we can all still see. There's enough light from outside filtering in, just not enough for us to really focus on the finer details. Nick's fingers stroke mine lightly, so lightly that I'm almost not sure the touch is real. My insides flicker like the art room lights. They do not, however, fizzle. I turn my head to look him in the eye. He leans over and whispers, "It will be hard to be just your friend." 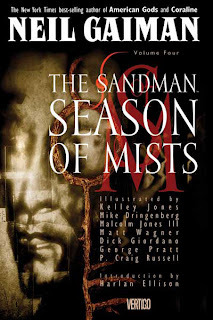 This novel should have appeal to fans of Holly Black and Melissa Marr, and to anyone who enjoys a creative and skillful combination of creepy setting, sympathetic characters, romantic elements, and an intriguing supernatural threat. The ending is a satisfying conclusion, but it leaves a sense that the solution is only a temporary one. And, in fact, there is a sequel due to be published in January, 2010. I look forward to reading it. Angieville: "What I liked about Ms. Jones' writing is the way she created a truly scary world and villain with very little overt description. I have no idea what he looks like. In my head he's this huge dark form without a face and he is the scarier for it." Beyond Books: "I was hooked on the mystery of it all. I liked the characters (although I was slightly irritated by all of Zara’s Amnesty International obsessions) and I loved the writing. The dialogue was witty and fun and the hints of sarcasm that came from Zara cracked me up." 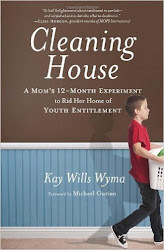 J. Kaye's Book Blog: "I think the characters are what I loved best. Zara’s grandmother is a hysterical piece of work. The problem I had was Zara seemed a wee bit too slow at putting things together." Karin's Book Nook: "The suspense is palpable when Zara struggles to make sense of the odd events in her life. Readers will come to love many of the characters and will definitely want to know more about them by the end of the novel." Reader Rabbit: "Need is okay. It's not bad and it's not fabulous. It's not good enough to pay the hardcover fee, but when it's out in paperback, it wouldn't make a bad purchase." Things have not been easy lately for twelve-year-old Joan. Her parents have just gotten separated, and to make things worse, her mother and little sister have gone to Florida together, and Joan has stayed behind with her father. It wouldn't be so bad - Joan adores her father - but he has to take a long business trip, so Joan must stay at her aunt's house for a few weeks until he gets back. When they pull up in front of her Aunt Margaret's house, it looks enormous and spooky. Aunt Margaret is clearly delighted that Joan is there, and even though Joan hasn't seen her since she was little, she feels comfortable with her immediately. But it looks like things are going to be pretty lonely and dull. There is no one her age nearby, no neighbors at all, in fact. The house is very secluded, with nothing around it but acres of apple orchard and a cottage where Mr. Cree, the strange old caretaker lives. 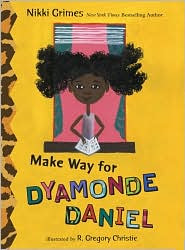 This was one of my hands-down favorite books when I was a child. I always checked it out of the library, and even when I wasn't going to check it out, I'd often wander over to the "S" shelves, just to see if it was there. Simply seeing it there on the shelf made me happy - knowing I could come and get it, bring it home to read again. Which I did - a lot. 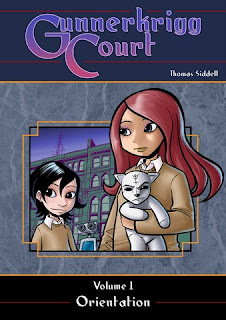 I actually saved it until now to reread - I wanted to share it with my own girls, who are nearly 9 and 11. And of course this was a perfect book for the R.I.P. Challenge. I am pleased to announce that the book was a smashing success. The girls loved it so much that they would get up early on school days and help with breakfast and lunch packing so I'd have time to read them a chapter before school. And they'd hurry through their chores and homework after school so I could read it to them before I left for work. I'm so glad they enjoyed it! It wasn't as dated as I thought it might be - part of that is that Aunt Margaret's house is so secluded, and she doesn't even have a television, so it feels pretty timeless. 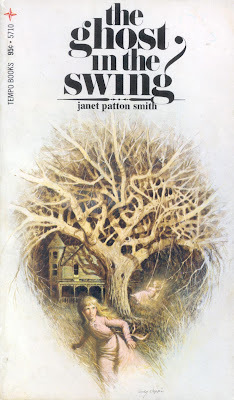 The story just drips with atmosphere, from the twisting maze that is the apple orchard to the dusty attic with its abandoned dollhouse and other toys. The ghost is funny, and she has a lot of attitude. 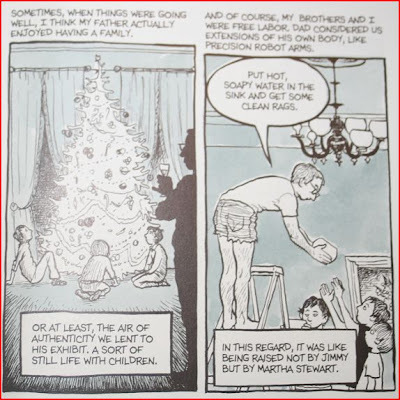 When I was little I identified more with Joan, and I felt indignant at the ghost's behavior the way Joan did, but rereading the book, I found myself thinking that Joan needed to loosen up and not be quite so stodgy. I also found Joan's dad to be rather irritating, particularly the way he is so patronizing and condescending to Joan's aunt about the mere possibility of ghosts, when Aunt Margaret has researched and is writing a book about haunted houses. I don't remember noticing that when I was a child. Still, it was clear her dad loved Joan very much, and they have a sweet, close relationship. I do think the book holds up amazingly well, and I'm so, so pleased to have a copy of my own now. 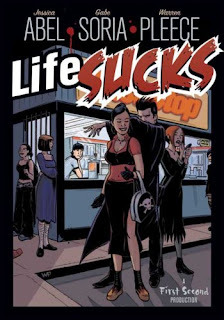 It's a timeless ghost story with a bit of humor and a lot of excitement, and I wish it were back in print and available to anyone who wants to read it. Have you reviewed this book? Please leave me a link in the comments, and I'll link to your review. Thanks! 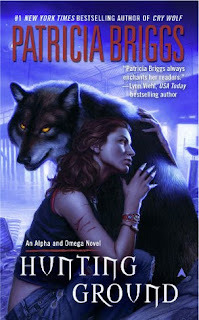 Anna, the "Omega" wolf, has come a long way from the abused, cringing victim first seen in the short story that introduces her character ("Alpha and Omega" in On the Prowl). She has found a place for herself among a positive, functional pack, unlike her first one, and she has gained self-confidence as well as skill in her role as Omega. She is one of the rare werewolves whose status is outside the pack hierarchy, neither a submissive nor an alpha, and she has special abilities that no other werewolves possess. She and Charles, her new husband, are still in the early stages of their relationship. They are crazy about each other, but they have both have troubled pasts and issues that they still need to work out. There isn't much time for them to focus on their relationship, though, when Charles convinces his father, the Marrok (leader of their pack) to send him and Anna to Seattle for a political meeting with international werewolves. Charles's father intends to "out" the werewolves as other supernatural creatures have recently done, and his actions will effect werewolves all around the world. Support from these packs will make the transition go much more smoothly, but persuading them will be a challenge. The meeting is not expected to be exactly civilized, particularly as the French alpha, known as the Beast of Gevaudan, will be in attendance - someone who, according to Charles, "likes to eat his prey - and his prey is mostly human." 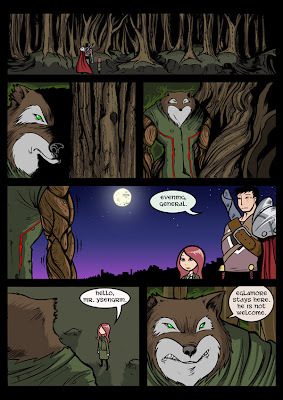 Presiding over this doubtful venture is one of the Fae, who may or may not be trustworthy - but at least she is powerful enough to keep a bunch of quarrelsome, powerful werewolves under control. When Anna is attacked by a group of vampires, and the mate of one of the alpha wolves is brutally murdered, Anna and Charles not only must deal with the challenge of trying to gain support for the Marrok, but they also have a murder mystery to solve. This second installment in the Alpha and Omega series has danger, excitement, mystery, and a dash of romance. Anna grows substantially throughout the course of the novel, as she works to face her fears and learn more about the important role she plays as an alpha. The social structure of the werewolves is an interesting way to look at relationships (werewolf and otherwise), their power structure and dynamics. Anna's relationship with Charles is central to the book, and their interactions are sweet and often humorous. The pace, as is typical with Briggs' novels, is taut, and the characters are very engaging. 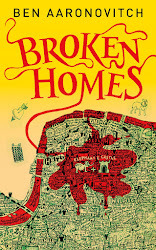 While I miss Mercy Thompson dreadfully, I am grateful for this new series to make the wait for the next book in that series more bearable - and I'm very much looking forward to the next book in this series, as well. Angieville: "Anna and Charles...each have heinously complicated histories and are still only scraping the surface of the other's baggage. The nice thing is their violent, unhappy pasts are leavened by moments of quiet, true humor." 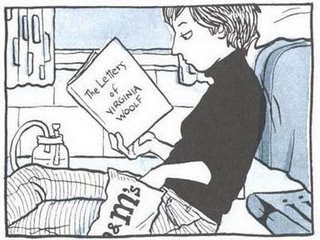 The Good, the Bad and the Unread: "You sincerely feel as if her world could exist and she’s just telling you about it like a newspaper relates events. I love that kind of confidence in an author – I have no trouble giving them several hours of my time because I know it won’t be wasted." The Written World: "I am very happy that I read this book, but now I have to wait six months for anything more!" 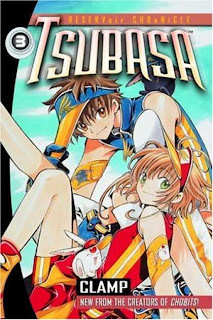 Teenage Syaoran is determined to recover all of his beloved Sakura's lost memories, and he and his team of alternate-dimension-traveling friends are working together toward that goal. The price Syaoran has paid for the ability to travel from world to world is that - no matter how many powerful memory "feather" he gathers, Sakura will never regain any memories of him. Still, he values Sakura so highly that he never once hesitated to pay that dreadful price. 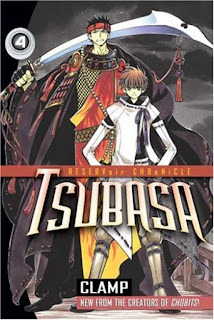 In the third volume of the series, they travel to a village in which a traveling magician suddenly attained mysterious powers after killing the town's most powerful warrior and protector. Each of Syaoran's companions also paid a price to travel among the dimensions, and Fai - once powerful magician - has given up his powers. So the friends must find a way to defeat the powerful mage, because it is clear that his power comes from Sakura's missing memory feather. I enjoyed watching the friends learn to work as a team, using each other's strengths in order to achieve their goals - and learning to trust each other as well. Sakura is becoming more alert and aware as the memory feathers are returned to her, and she begins to play a more proactive role in the story. 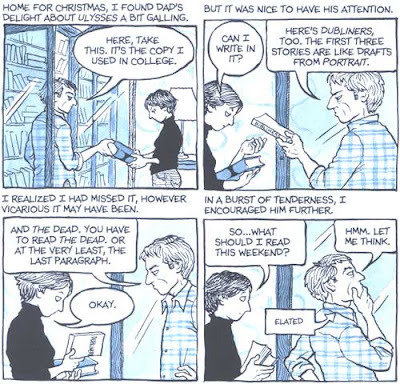 The fourth and fifth volumes contain a single story arc. Syaoran and his friends find themselves in a new world in search of another of Sakura's memories. They are in a village reminiscent of a late 19th-century German town, and they are approached by hostile, suspicious villagers. 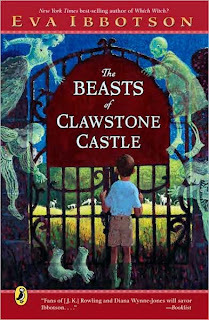 The friends learn that the children of the town have been mysteriously disappearing, and strangers are unwelcome there. Only the town's doctor seems unconcerned by their arrival. From him they hear about an ancient legend in which the golden-haired princess of the nearby castle, now a ruin, kidnapped the town's children. The villagers believe it is happening again. So the friends tell the villagers that they are investigating old legends in order to write a book. It appears that the mysterious disappearances may be related to Sakura's missing memory - and even if it isn't, they feel compelled to find the missing children if they can. The book ends with a cliff-hanger, and the tale resumes in Volume 5 of the series, picking up where the action left off. The two-volume story is a fun otherworldly mystery, full of adventure, excitement and lots of creepy fairy-tale atmosphere. Upon solving the mystery, the friends transport to yet another dimension. In this world, magic is commonplace, and otherworldly travelers are common as well. They are greeted by a singing, dancing welcoming committee composed of lovely young girls. One of the committee members explains to them how the country of Oto works, and the travelers find themselves a place to stay - and even some lucrative work. The little magical critter Mokona, who enables them to travel among the dimensions, senses one of Sakura's feathers, but isn't sure where it is. Adventures, action and mayhem, interspersed with the usual humor, ensue. I'm having a blast reading this creative and immensely entertaining series. I enjoy the interplay among the characters, this random team of misfits, each with their own background and skill set that comes into play, depending on the situation. Syaoran's travels with his father, for example, have given him the ability to think on his feet when dealing with unfamiliar people and cultures. I also enjoyed the fact that Sakura is moving away from the passive princess who needed to be rescued, and she's insisting on pulling her weight and doing her part along with the rest of the group. She is a strong character (not surprising in a CLAMP novel), and it is hard for her to deal with the limitations placed on her by her memory loss. She is an endearing character, enthusiastic and optimistic, and a peacemaker as well. 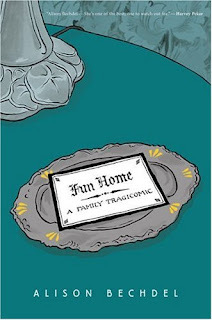 The interplay among the characters is amusing and lends welcome comic relief to the darker, tension-filled scenes. Finally, I have to say t hat I am continually impressed by the artwork of this series, particularly the depiction of the characters' clothing. CLAMP has a penchant for designing whimsical, intricate, and lovely outfits, and in this series in particular, they have lots of fun designing the different kinds of clothing found in each world. 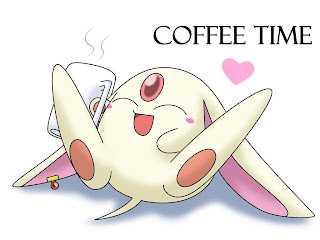 I look forward to following Syaoran, Sakura, Mokona and their friends on their next adventure. 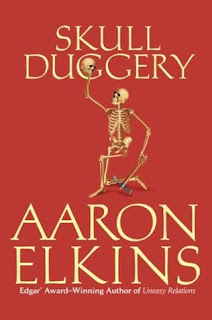 Gideon Oliver, the renowned "skeleton detective" (not to be confused with Skulduggery Pleasant, the literal skeleton detective), returns in this, his sixteenth murder mystery. This time Gideon and his lovely wife Julie head to the village of Teotitlan de Valle in the Mexican state of Oaxaca. Julie is going there to help out some relatives, who own a dude ranch there. "Well, I don't know why I should be worried. Some old skeleton will turn up for you; it always does." "No way, not this time. I'm not bringing any tools with me; no calipers, no nothing. Nobody will even know how to find me, so what could happen?" "Something will happen, " she declared. Luckily for the reader, Julie is absolutely right. A skeleton does turn up, and the village police chief (a political appointee who is not keen on his job - he just hopes to make it through his stint with as few problems as possible) is only too happy to have Gideon take a look at the body that mysteriously turned up in the desert not far from the village, mummified from the heat and dryness. 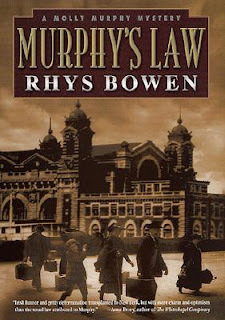 He is not too happy when Gideon determines that the local coroner made some mistakes in his assumptions - and is even more concerned when it appears there may be a connection between this corpse and an old murder case that involves the death of a child. "No reason not to, but you don't have a theory, Julie. A theory requires at least some observed facts from which to draw reasonable reliable inferences that can then--"
"You don't have a hypothesis, Julie. Even a hypothesis has to be founded on observed phenomena that--"
She was rolling her eyes. "Okay already, my speculation! All right?" "My conjecture! My supposition! My unverified supposition? My blind guess? My shot in the dark?" Gideon stroked his chin contemplatively. "I would accept blind guess, yes." She made a face and threw a balled-up napkin at him, and they broke into laughter again. "Oh, the joys of being married to a pedant," she said. The forensic details of the mystery are fascinating, and it is continually amazing to me how many stories our bodies - our skeletons in particular, as is the focus of this series - can tell about ourselves, our habits, our lives. The small-town Mexican setting is an evocative backdrop, with its archaeological ruins, abandoned mines and arid deserts. All in all, this was an excellent installment in the series, and I'm already looking forward to the next one. Have you reviewed this book? Please leave me a link in the comments, and I'll add it to my review. Fifteen-year-old Liza lives in a world that has been devastated by war, a war between humans and Faerie that nearly destroyed both worlds. When her mother gives birth to a baby that bears all the signs of faerie magic, her father does the expected thing and abandons the infant outside to die - or be taken by the faeries. Liza sneaks out of the house, hoping to save her baby sister, only to find that wild animals got there before she did. Her mother disappears shortly afterward, leaving Liza alone with her harsh, abusive father and a growing sense that she is tainted with faery power herself. I very much enjoyed this fascinating dark, post-apocalyptic fantasy. Liza's world is a dark and dangerous place, but the more she learns as she ventures into the unknown in search of her mother, the more she realizes that her own "safe" village is a very dark place as well. I found the descriptions of the pernicious flora to be very effective in creating a sense of otherworldly horror. This book certainly stands alone, plot-wise, but there will be a sequel, according to the author's website, due to be published in 2011. I am glad to hear that, because the book left me with a sense of so much left to be explored, even though Liza's story comes to a satisfying conclusion. Click here to read a short story set in the same world as Bones of Faerie called "Invasive Species." 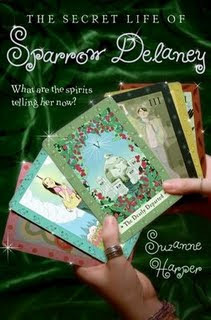 Becky's Book Reviews: "Loved this one. I mean I knew it would be good when Elizabeth Scott said it was. But still. Oh-so-good." Fantasy Book Critic: "In the end, Janni Lee Simner's first attempt at a teen novel was a success. 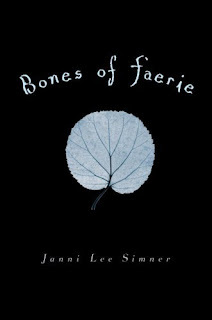 Despite the quick pace and the lack of details regarding magic and the war, Bones of Faerie was an engaging read." 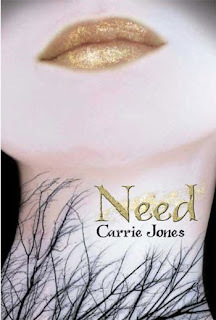 Karin's Book Nook: "As a reader, it is easy to get attached to the characters. Liza’s visions are marked by italics for easy identification throughout the story and the language is clean which makes this appropriate for even young fantasy fans." A Patchwork of Books: "Faeries are popping up in books all over and unfortunately, with this particular one, I was left pretty disappointed. I felt Liza was a really flat character, she was whiny at times when she didn't need to be and I had so many questions throughout the entire book that I felt went unanswered."